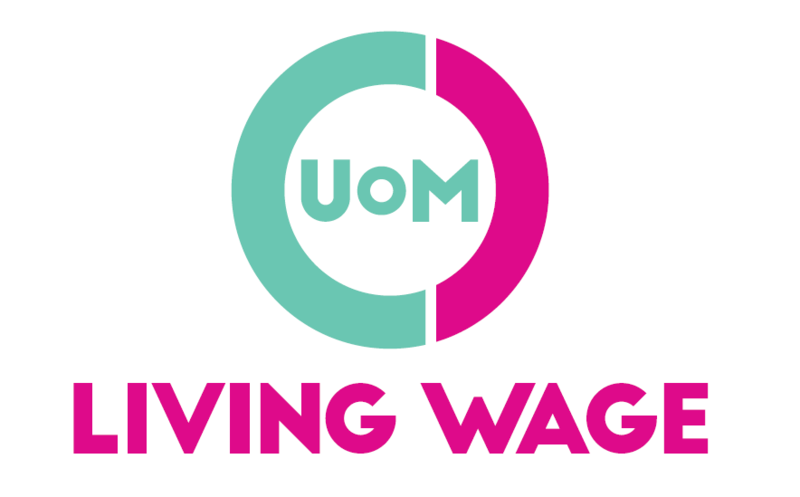 New data has revealed that an overwhelming majority of students support all university staff being paid a living wage as well as pay of university Vice Chancellors being lowered. A survey from the Living Wage Foundation, which polled 1,473 students across the country, found students almost unanimously felt salaries were uneven, with those in leadership positions benefiting massively, almost entirely at the expense of staff such as cleaners, caterers and security. Vice Chancellors at Russell Group universities now earn an average of £289,910 – almost double the Prime Minister’s salary and four times that of other MPs. The University of Manchester’s 2017 financial report — the most recent available — shows basic pay for Vice Chancellor, Professor Dame Nancy Rothwell, is £260,399. It has increased by 5% since 2013 but was frozen in 2016 and 2017. According to the report, this salary is 17 times higher than the lowest at £15,420, and seven times the median rate of £35,000. The figures do not detail her pension benefits, but according to the document all staff receive a contribution worth 18% of their base salary. That would add £46,800 to her package, taking the total to £307,200. Responding to The Mancunion, the University said: “In 2017, the Vice-Chancellor’s pay was £260,399 for a second consecutive year. In August the university implemented the 2018-19 pay increase, between 2% and 2.7%. Some 86% of students polled by the Living Wage Foundation believe Vice Chancellor pay should be lower, with 54% saying it should be cut by as much as a half. However, despite this strong opposition, 58% of students underestimated Vice Chancellor salaries by as much as £90,000. About a third of students supported a cap on Vice Chancellor pay in order to help fund higher salaries for all employees. Tess Lanning, a director at the Living Wage Foundation, said: “Universities are important employers and civic institutions for many towns and cities across the country. We want universities to show leadership by committing to ensure everyone earns a real Living Wage based on what they need to get by, not just the government minimum. Currently, of the country’s 130 universities, less than a quarter are accredited by the Living Wage Foundation. Its hourly rate is set at £8.75 outside London, and employers who sign up to the campaign must extend that wage to third party contractors. It is separate to the government’s various minimum wage rates which are enforced by law. These stand at £5.90 for 18 to 20-year-olds, £7.38 for 21 to 24-year-olds, and £7.83 for over 25s. The £7.83 rate is called the National Living Wage, but has nothing to do with the Living Wage Foundation. The University of Manchester says its own staff are paid £9.04 an hour, but this does not account for contractors. Locally, the University of Salford and Liverpool’s John Moores University have signed up to the Foundation’s campaign. The University of Manchester’s Students’ Union has also done so, which means it pays the campaign’s rate of £8.75 to all of its workers, a majority of whom are students. Of the 29 Universities accredited by the Living Wage Foundation, just seven belong to the Russell Group. Its research also found the salaries of Vice Chancellors at Russell Group universities are on average just over £40,000 higher than elsewhere around the country. Importantly for universities themselves, the survey found a university’s wage policies could have broader financial implications. Over half of students polled answered that they would be more likely to financially contribute to their university if it paid a living wage to all staff.